You thought it was hard to get cellular coverage in your basement — try getting it in the rain forests of the Congo. Pan-African satellite communications provider RascomStar-QAF has plans to ensure that remotest communities in the Republic of the Congo get mobile service using the smallest access node imaginable: the femtocell. We tend to associate femtocells with spot coverage: Having trouble getting a signal inside your house? Well, call up your carrier and chances are it will offer you a femtocell, delivering a private signal in your home. But RascomStar is taking that same concept and extending to entire villages and towns in the Congo. This summer, it’s deploying a pilot network of 50 miniature base stations — supplied by U.K. femto vendor ip.access — in communities all over the Congo. 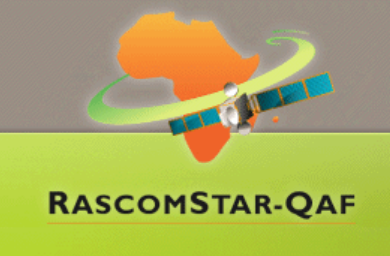 RascomStar plans to expand the pilot into a larger-scale commercial launch in 2013, as well as extend it to at least 10 other African countries. RascomStar’s satellite network plays a critical role here. Mobile communications may use the airwaves to deliver their voice and data payloads, but they rely on wireline networks to take over once those transmissions hit the tower. Since telecom infrastructure is scarce and far between in remote communities, RascomStar is contracting with ViaSat(s vsat) to backhaul those femtos, bouncing their transmissions off orbital satellites back to the RascomStar’s core network in Brazzaville, the capital of the Congo. Operators all over the world use satellite to backhaul tower sites in remote locales, but the combination of femtocells with satellite adds a new twist. Femtocells and picocells are designed to (BE?) self-configuring devices that can be installed much like you would INSTALL a consumer Wi-Fi access point. If RascomStar takes this trial to its logical conclusion, it could have a big liberating effect on network deployment. Rather than send engineers, technicians and trucks to individual communities to build towers and install costly base stations, a carrier could practically build remote networks via mail, shipping femtos out to isolated communities where someone with a basic technical knowledge could get a wireless network up in running in a matter of hours. This seems like a great idea that could as a peripheral benefit reduce violence in the Congo. The ability of guerillas and outlaws to move from location to location would be greatly impeded by improved communications allowing for civilians to relay the movements of dangerous individuals to authorities quickly. MicroBTS stations would create a wider cell at not much more cost or complexity. O3b (other 3 billion) backed by Google, SES, HSBC and mid-east money, will launch its Middle Earth Orbit satellite constellation next year. The MEO’s are low altitude making four 360 minute passes per day with low latency and will offer fiber like broadband for cellular and ISP back haul from 1.8, 2.4, and 4.5 meter tracking VSATS.